Roy M. Anker, “Lights, Camera, Jesus: Hollywood looks at itself in the mirror of the Messiah”, ChristianityToday.com (posted 12 May 2000). David B. Howell, “Screening the Temptation: Interpretation and Indeterminacy in Cinematic Transformations of a Gospel Story”, Journal of Religion and Film Vol. 11, Number 2 (October 2007). Bill Jenkins, “Jesus Christ, Superstar? Why the Gospels Don’t Make Good Movies”, Journal of Religion and Film Vol. 12, Number 2 (October 2008). David Landry, “God in the Details: The Cleansing of the Temple in Four Jesus Films”, Journal of Religion and Film Vol. 13, Number 2 (October 2009). 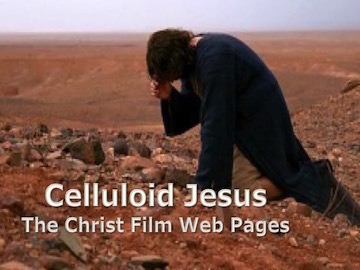 Matthew McEver, “The Messianic Figure in Film: Christology Beyond the Biblical Epic”, Journal of Religion and Film Vol. 2, Number 2 (October 2008). Director Paul Verhoeven discusses the life of Jesus on film; an article in the February 26-March 4 1998 issue of the Sonoma County Independent.